The report and photos in last Saturday’s Telegraph, with regard to Satnav direction in the driving test, is simply accidents waiting to happen. A car travelling at 30 mph or 44 feet per second means that taking just a one second look at the screen, the car will have travelled 3 typical car lengths and during a 2 second look at the screen, which is more probable, the car will have travelled 6 car lengths during which time there will be no sighting of braking lights, pedestrians and cyclists. This situation is exacerbated by the typical poor location of the Satnav, as in the Telegraph, where the driver has to look across and down with little chance of any peripheral vision being of any use as is not the case with a Satnav positioned just above the windscreen at the bottom right hand corner. I know this is not a car advice or fault problem but I also know that your opinions are highly regarded and well founded. Too late. While the changes to the test were open to consultation several years ago, the opportunity to object has long since passed and they have now been implemented. Separately, I did try to warn about the effects of Claus 56 of the Protection of Freedoms Bill that has now led to millions of drivers facing parking penalties for breaches of parking conditions on private land, but no one paid any attention, so I can only conclude that I have no significant influence at all. The public only complains after the event. We are on our second diesel Golf Plus. As it is no longer made we would like to replace it with something similar in a petrol car. We like the height and size of the Golf Plus. What would you suggest? The Golf SV replaced the Golf Plus and is actually a far better car. Go for the Golf SV 1.4TSI 150, but not a DSG DQ200 automatic: /road-tests/volkswagen/volkswagen-golf-sv-2014-road-test/ If you want an automatic, go for a BMW 2-Series Active Tourer with 6-speed or 8-speed torque converter auto. I am looking for some help in searching for a car I once owned. It was sold to a mechanic called Dave in a small town between Cockermouth and Whitehaven. The Number plate was E361 UCM. It was a MK2 Vauxhall Cavalier Club. You can get limited information from the DVLA: https://www.gov.uk/get-vehicle-information-from-dvla / This tells me that the car has not been taxed since September 1998 and that it has no MoT. It might be sitting in a shed or a barn somewhere, or it may have been scrapped before the SORN rules came into play. I bought a 2014 BMW 6-Series at 12 months old with 6,000 miles. It had 20-inch wheels with low profile tyres (275/30 R20 on the rear). At its first MoT this week the mileage was 23k. The tyres at the back had around 3-4mm tread left and on the front 4-5mm, so I was happy with the wear, bearing in mind the mileage and size / power of the car. But three of the tyres failed the MoT due to sidewall damage: one with a large bulge that I had not noticed. I have driven normally, with the usual potholes, but nothing noticeably severe. The BMW dealer suggested I had been running on pressures that were too low but I have always followed the guide and with an in-car monitor it’s easy to check on a regular basis that the tyres are running at the correct inflation. I know you are generally anti-low profile tyres. Is this one of your reasons why? Are the tyres faulty and should I complain to Dunlop? Should I be running at pressures higher than recommended - e.g. at fully laden recommended pressures due to weight of the car? Any advice gratefully received. I can't afford to replace the wheels as I have just bought the new tyres. I'm amazed at the mileage you achieved on the tyres. Well done. But yes, the lower the profile, the more susceptible the tyres and the rims are to damage even from slight imperfections in the road surface and on British roads in their current state these imperfections can be far from "slight". This is the price you pay for running on 30 profile tyres. Raising the pressures will make the ride even harder but might slightly lessen the damage. Fitting a set of smaller wheels with deeper profile tyres is the real answer. My friend purchased a new vehicle from a franchised dealership and, as discussed at the time of collection, returned shortly after to pay for an extended warranty. He has the evidence to support this and awaited the confirmatory paperwork. When this did not arrive, he contacted the dealer who said there was no record of this on the system and that the purchase was invalid as it would have breached the manufacturer’s terms and conditions (to do with dates). He then spoke to the manufacturer, who batted his enquiry back to the dealer as clearly the dealer was at fault. The dealer refuses to budge and the reluctant best he has offered him is a refund of his money. He does not want a refund: He wants what the salesman led him to believe he was getting. The terms and conditions were not spelled out and he acted in good faith, trusting that the salesman knew what he was doing. Unfortunately, he has to put up with this dealership as the next one is too far away for practicality so he is in a difficult position at present, especially as he likes the vehicle. My view is that, despite who is actually at fault, by taking his money, the dealer has entered into a contract with my friend and is obliged to honour it even if it has to provide the warranty at greater expense. If you agree, how can my friend force them to accept their obligations? I am not sure if the Dealer Principal has yet been involved but he/she would still need to be convinced by the force of my friend’s argument. I agree. The dealership took his money and did not provide the warranty. He is entitled to the warranty the dealer contracted to provide him with by taking his money and, if the situation does not conform to the conditions of the warranty your friend thought he was buying, the dealer has to provide an equivalent warranty, from warrantywise or from motoreasy, if necessary. Your friend can use Small Claims to sue for this if necessary. We own a 2012 Land Rover Discovery 4 HSE, bought new and now with 82,000 miles. It has been serviced regularly, though not by Land Rover after the first couple of years. My wife was driving recently when the engine shuddered and stopped, leaving the car in the middle of the road. Thankfully it was early in the morning and she managed to restart the engine, though it was knocking badly, and pulled to the roadside before it stopped again. We recovered the car and our garage told us they could barely see anything as there was oil sprayed all over the bottom of the engine. They noted the car’s computer advised a “misfire in cylinder 6.” The local Land Rover dealer has now looked at it and advised that there was a “bad engine knock” and a bad oil leak “from the V of the engine.” They have recommended a new engine, at a cost of approximately £17,000. The dealer has submitted documentation and I have explained the situation to Land Rover main office, for consideration of providing a goodwill contribution to the repair cost. Noting that the car was out of warranty and not serviced in network, Land Rover has nevertheless agreed to contribute 40% of the cost of repair. While this is obviously a positive development, I have searched online and noted a number of people complaining about similar problems with the engine suddenly cutting out without warning, with a crack to the engine block and catastrophic oil loss. In some places, they suggest this is a known failure and one website references a May 2014 service bulletin (SSM71816) affecting V6 diesel engines in the Discovery 4 from 2009 to 2012. The bulletin notes these engines may experience crankshaft failure due to something related to the “bearing shells.” The symptoms quoted from the bulletin sound very similar to our experience and it suggests that the design was changed in 2012 to prevent such failure. Given that this appears to have been a known problem, it seems to me that the 40% contribution, while appreciated, is inadequate. The vehicle was purchased at great expense and has been treated well throughout our ownership. I would like Land Rover to increase its contribution. There is even some indication on line that LandRover has covered 100% of the cost in the past. I would appreciate your thoughts about the fairness of the 40% offer and whether this sort of failure should be expected and accepted. If we should expect more from Land Rover, can you help as we seem to have hit our wall in discussions with them? There are seven prior instances of this recorded here: /carbycar/land-rover/discovery-4-2009/ (Preventing manufacturers from denying common faults is the whole point of the carbycar database.) JLR can defend its case because you cannot prove that the car was correctly maintained by the independent servicing. Not only that, by having it service independently, you missed SSM71816 that would probably have prevented the issue developing. But the seven prior instances might be enough to persuade the Motor Ombudsman that you have a better case. (https://www.themotorombudsman.org) 40% of £17,000 still takes you to £10,200, which is £200 over the Small Claims limit and would mean a full County Court case that costs a fortune in legal and court fees. (https://www.gov.uk/make-court-claim-for-money). And, of course, you’ve had 82,000 miles out of the engine that failed. Regarding programming a lost code into a Ford remote key, I thought you might be interested in the following passage from my Owner's Manual, which I have seen repeated (with slight variations) on several websites. "Programming a new remote control: 1. Insert the key in the ignition. 2. Cycle the key from position 0 to II and then back to 0 four times within six seconds. 3. Leave the key in position 0 and press any button on the remote control within 10 seconds. You will receive confirmation via a chime or LED that programming has been successful. (Note: Further remote controls may be programmed at this stage.) 4. Press any button on each additional remote control within 10 seconds of each other." The same manual depicts only a starter button, and no ignition lock, but Ford steadfastly refuses to provide the correct instructions. However, you may find these instructions of use to a Ford owner whose car has a remote control and an ignition lock, and who wishes to avoid the dealer charge. Many thanks. I've put that into the Focus ST 2012-2015 carbycar entry (presume that's what yours is). I guess this applies to any recent Ford? I think you have grounds to reject the car as "not of satisfactory quality" on the basis of the evidence in your letter. It has simply not been built correctly and as a result has caused you enormous inconvenience. If the dealer who supplied the car does not accept rejection you have to be prepared to go to law in the County Courts (which will cost you a fortune with no guarantee of success). But the relevant law is Clegg v Olle Andersson (trading as Nordic Marine) House of Lords 2003. (There is so far insufficient case law on the Consumer Rights Act 2015). See: /faq/consumer-rights/ Forget everything else in your email about supporting British manufacture, etc. Stick to the cold facts. What is it with people on this website that they cannot post correct links, in this case to 30.12.2017 Agony Column Part 1 or, load the said article to the right location for the link!?! This is happening far too often, get it sorted! What is it with people on this website that they cannot post correct links, in this case to 30.12.2017 Agony Column Part 1 or, load the said article to the right location for the link!?! This is happening far too often, get it sorted! Nice one groaver! I don't see glidermania making much of a worthwhile 'contribution' to the forums either (probably because when he did previously, he was made to look a fool) in his posts. Its not as though the issue he complains about is a major one - a bad link to go from page 1 to 2 or vice-versa on the weekly letter collumn. All he has to do is email the IT people to report it, and mostly its fixed within a few hours. In the meantime, he can always just go to the 'News' page and look up the other half of the letters that way (hardly a chore). The words 'mountain' and molehill' spring to mind, especially as this is a (as you say) FREE website!! @ glidermania, not sure what item you're complaining about. Can you be more specific? Like the other poster said, the part 1 of the 30/12/17 Agony Column wasn't coming up with the link (just some error page advising the reader to use a search function to find the page). It seems to be fixed now, for me at least. As the original poster said, this has happened a few times before and is rather annoying, not every week, but sometimes we have to wait until the next morning for one or both parts of a new Agony Column to become available from the menu links. Looks like some kind of problem with the website or perhaps with the new content being uploaded to an incorrect location. Sorry, what part of "30.12.2017 Agony Column Part 1" not being available was not clear? The guy with the F Pace needs to chill out! Losing confidence in a car because the bonnet won't shut? I've heard it all now! 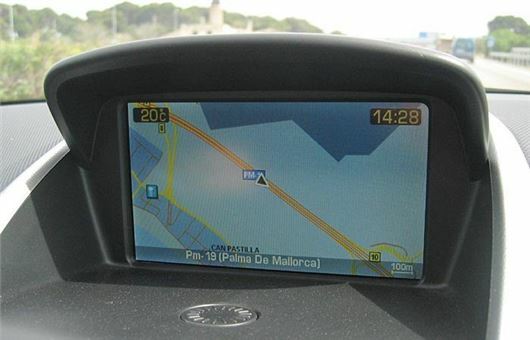 The SatNav and subsequent protection of Freedoms bill mentioned above may have highlighted another potential problem with the car sales industry. As membership secy, I'm currently wading my way thru the new data protection rules and trying to update our running club's T&C's concerning what happens to the members details we hold on record. Having just spent the last few months searching for a car, one thing I always did was hook up my phone to the infotainment system to see how easily it would connect; could it import phone lists; display text msgs etc. What I noticed was that many cars on dealers forecourts already had details / phone numbers of the previous owners which I could easily access. The question is, are dealerships liable by making publically available peoples personal information without their consent? In theory the dealership should be factory resetting/clearing these infotainment systems before the cars go on the forecourt but this obviously isn't happening. If the dealership has bought a car from someone, and their T&C state that any info held about that person will be confidential and not past on to 3rd parties, could that dealership now be committing a criminal offence? Must be a month since any JLR complaints in the agony coloumn. I was beginning to wonder if they've finally turned a corner, of sorts. However, service resumed with yet another Disco 4 lunching it's engine and a shonky Jag passing unnoticed through QA 'inspections'. The Disco 4 owner, are you serious with your query of whether a total engine failure on a £50k car if less than 5 years age is 'expected or accepted'? Bottom line, would you buy another?